With more musicians taking their monitor mix into their own hands than ever before, we’re shining our spotlight on the products that enable this newfound freedom. 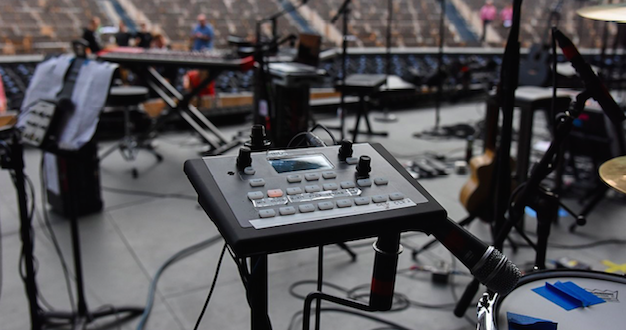 Although they might not be a feature of every medium to large-size live gig just yet, personal monitor mixers are becoming an increasingly common sight on stages all over the world, and it’s quite easy to see why. At first glance they can seem pretty basic in some cases, but that sort of is the point – or at least one of them – as they effectively hand much of the control over to the musician, leading to (hopefully) better performances while allowing the engineer to focus on other tasks and free up valuable space on the console too. We’ve all either observed or actively participated in shows where communication difficulties between the engineer and the musicians was there for all to see – or not see, as the case may be – and the presence of one or more of these handy devices would’ve helped reduce not just the overall stage volume, but stress levels as well. The technology is no longer quite so new, and with it becoming more affordable and a wider range of choice on offer across a number of different brands, it’s time we looked a bit closer at the personal monitor mixer (PMM) market, and who better to discuss recent developments with than some of the leading manufacturers in this sector, beginning with one of the companies that started it all. 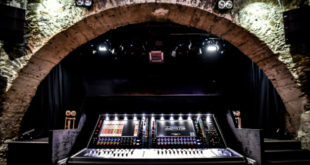 Aviom is known for pioneering personal mixing with the Pro16 Series, and remains one of the frontrunners in this field with current models like the A320 with its simple user interface and the A360, which delivers more channel-level options, including EQ and reverb, along with customisable channel selection. 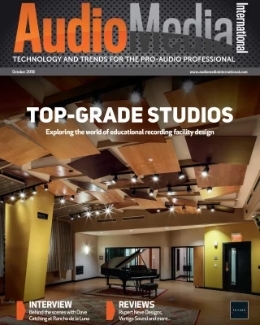 Product research and development manager Ray Legnini agrees that demand for this kind of kit from musicians and audio professionals is on the up, adding that users’ appetite for digital consoles and audio networking equipment has been good for business. “We have been building personal mixing solutions for 15 years now, and every year we see more and more performers becoming aware of the solutions that we and others offer. Often times it’s a drummer who starts the ball rolling by trying to get more control of his/her monitor content,” he says. Mathias von Haydekampf, president of network-based PMM provider myMix also believes that putting the performers in charge of their own mix was always going to be a smart move, especially for bands centred around one main artist, but he also stresses the importance of keeping the technology as simple as possible so as not to confuse the user. 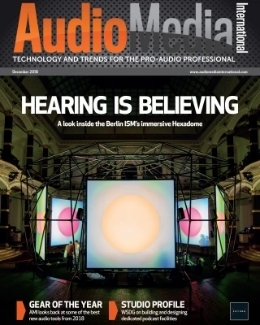 “For larger set-ups with a main artist, the PMM system allows the individual musicians to get what they want, while the monitor engineer has even more time to devote to the star,” he explains. 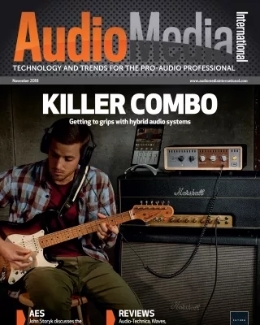 “Rather then trying to create ten or 20 individual mixes, the monitor engineer provides a number of good submixes, so that the musicians can easily create their personal mix blending their instrument with pre-mixed stems. 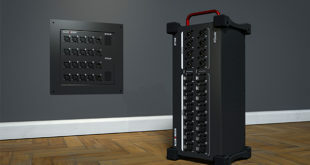 Tom Knesel, co-founder of Pivitec, which manufactures another networkable alternative in the form of the compact e32 mixer, has noticed that many users get hung up on targeting features that should really be considered secondary, such as high channel counts and DSP functions – all of which add complexity to a system. 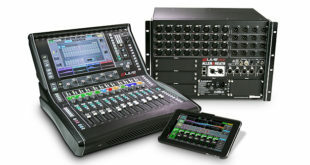 When asked to offer advice on selecting the right kind of mixer, Nicola Beretta, product manager at Allen & Heath – a relative newcomer to the market with the ME-1 (main picture) back in 2014 – says that getting the channel count right tops the list of priorities, followed by other factors such as Power over Ethernet (PoE) capabilities. “Most personal mixers are limited to 16 mono or stereo sources and this typically means using up a number of busses to create submixes. ME-1 can mix over 40 sources and group them locally, with independent, custom layouts and grouping for each musician, freeing up those precious busses at the console,” Beretta notes. It’s clear then why so many have opted to invest in PMM technology, but in which areas of the industry are these companies seeing most interest? Out of everyone we spoke to, there was a clear trend, with the huge US House of Worship (HoW) market way ahead in terms of overall uptake. 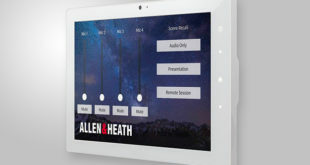 HoW sits at number one for Allen & Heath too, but perhaps unsurprisingly when you look at its console business, sales are picking up in other areas of the live sector and even further afield, and the same can be said for other manufacturers. myMix has an even more varied user base, according to von Haydekampf: “Having your own control while making music is a big advantage and therefore I see them in more and more applications. myMix, for example, is being specced for emergency operation buildings because of its network capability and limitless channel network; we have one installation where they use it over 11 miles with 21 units as an intercom system. We have a system used for simultaneous translation and we even have it in a remote wind turbine. But there are some who feel that personal mixing could be seen as a threat to the role of the monitor engineer in the long term. Doesn’t handing a lot of their responsibilities over to the musicians take away some of the importance of their position, or maybe instead it will just lead to an alteration rather than a devaluation of their duties? Swanson is one who foresees engineers’ jobs becoming more tutorial as the technology becomes more heavily adopted, especially with less audio savvy musicians, although he does seem to be referring more to cases where there is one engineer looking after both FOH and monitors. The age of the personal monitor mixer is only really just beginning, but you could argue that it’s already under threat from smartphone/tablet-based alternatives that continue to be released on a constant basis ever since the arrival of remote control for digital consoles a few years ago. Some of our manufacturers, including Pivitec, which uses mobile devices as the main interface for its systems and Allen & Heath, which offers apps like Qu-You that allow performers to control their own monitor mixes using a handheld device are already well placed to take advantage of this new trend, but the others are confident that there are still plenty out there who would prefer a physical product. In conclusion then, what advancements in personal montor mixers can we expect to witness over the next, say, five years?